Next-level, cloud accounting built for you. 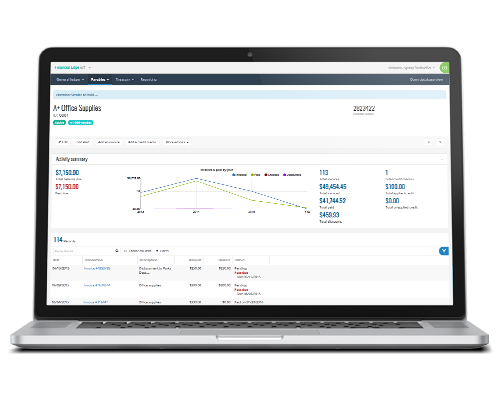 Take the Blackbaud Financial Edge NXT product tour. Blackbaud Financial Edge NXT simplifies fund accounting so you can work more efficiently and your organization can grow. And Blackbaud Financial Edge NXT is powered by Blackbaud SKY®—the only cloud built to power social good. That means you take advantage of pre-integrated services, secure data, and rapid updates…built in and automatic. What could be simpler? Blackbaud Financial Edge NXT is the total cloud accounting solution built for your organization. Join us to simplify your everyday. Not a Blackbaud Financial Edge® 7 customer? See how Blackbaud Financial Edge NXT can solve your challenges.